It rained really hard the past week here in Metro Manila. And as expected, when the rain pours out that hard for days, several places here start to get flooded. 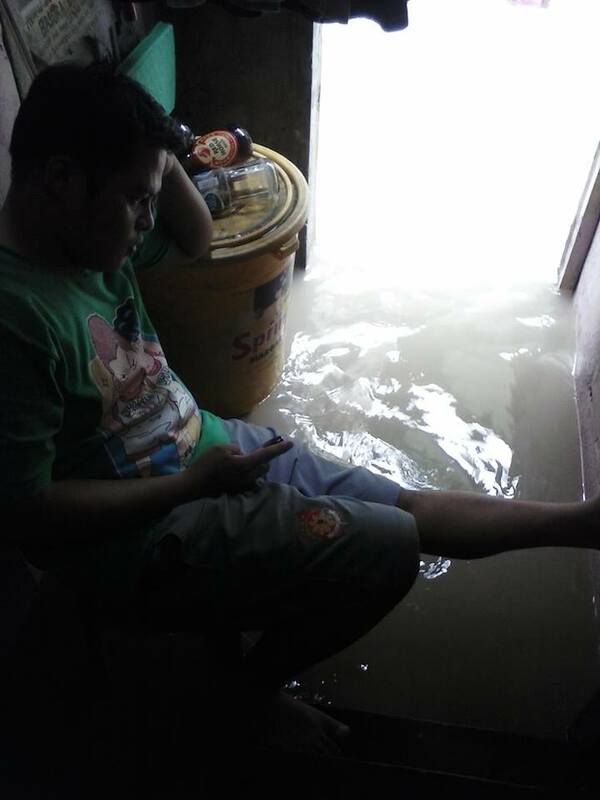 Our place here in Pasay City is one of the many places in Luzon that was unfortunate. The creek which is a a few meters away from where I live overflowed and it caused flood. The water rose waist-high right in front of our gate and in a few minutes, the water is already inside my little pad. I was just lucky my brother is living with me here in Manila. He was the one who actually salvaged my belongings while I was still on my home from work. If not for him, everything will be soaked in the dirty water including my bed. It's my second time to have to walk through the flood to get home. 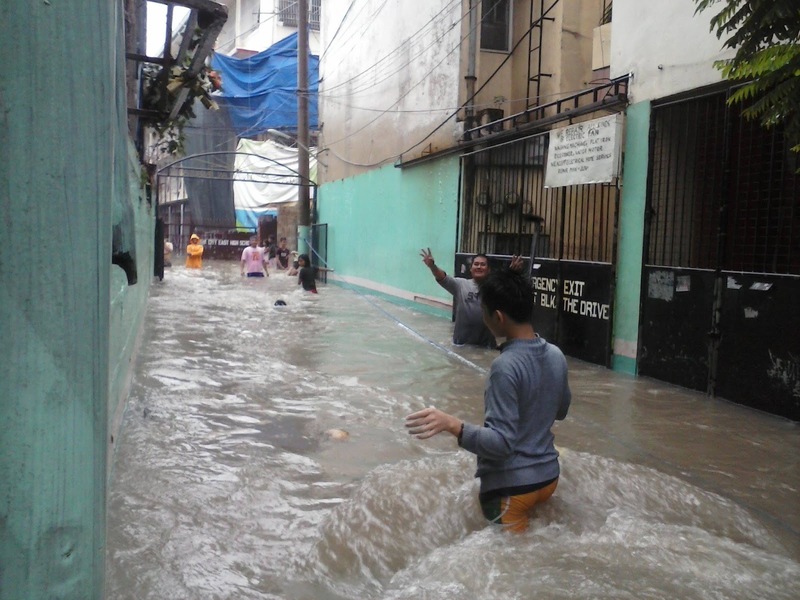 The first time was the Typhoon "Ondoy" which is more devastating since it hit vast places of Luzon. I was lucky before because I lived in a 2nd floor building in Makati that I only had to endure walking through the rain and flood. I was able to stay dry when I get home. The recent Typhoon "Maring", although not as devastating as "Ondoy" of 2011, it hit my little pad. Not only did I deal with the flooded streets, I also had to wait until the water subsided so we could clean my little pad. I waited patiently, sitting in my dark room. I didn't have a good giardinelli universal klip-light at wwbw at that time so I had no choice but to stay in the dark for hours, sleepless. And then the rain stopped, the flood subsided. Thankfully, the worst didn't happen. My brother and I spent the night at my boyfriend's house since my place needed cleaning. I don't want to experience being trapped because of the flood and rain anymore. I hope I'd be able to have enough money so I can move to a better apartment very soon. In that way, in case my nephew Brandon lives with me, he won't have to experience the same thing.